As many as one million Uighur Muslims are currently being detained in so-called re-education camps in China’s Xinjiang region. Uighurs are a Turkic-speaking, largely Muslim ethnic minority with a population of approximately 10 million in their homeland of Xinjiang in northwestern China. Rich with oil and natural resources, the region experienced an influx of Han Chinese immigration, and this assisted in developing the economy in this region after being annexed by China in 1949. The rising ethnic tensions between the clashing Uighur and Han cultures in Xinjiang culminated in deadly riots in 2009, along with a series of terrorist attacks attributed to Uighur separatists interested in establishing an independent Uighur homeland. 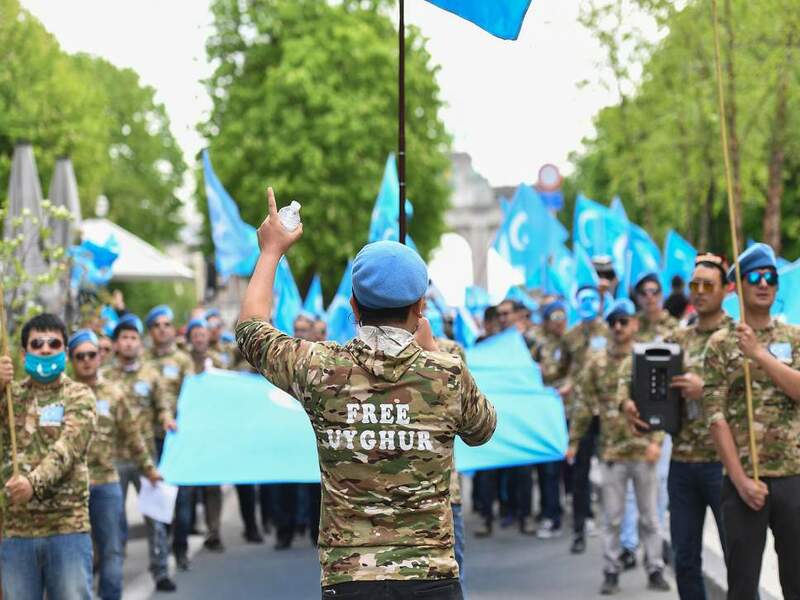 Despite the lack of evidence pointing to any cohesive extremist movement of Uighur separatists, the Chinese government cited the threat of Islamic extremism as the pretext to its crackdown on Uighur Muslims and the ensuing mass detentions. After initially denying the existence of the detention camps, the Chinese government has now said that the camps are vocational training centre with the purpose of preserving peace and prevent extremism. Former detainees describe the egregious conditions of the re-education centres in which people are arbitrarily detained as a place where people endure psychological and physical abuse for weeks, months, and even years. As part of the “transformation through re-education” program carried out in the detention camps, detainees are forced to denounce and criticize their culture and their Islamic beliefs, they are prohibited from speaking their native tongue, and they are forced to repeat pro-communist propaganda. Some reporters and activists have described the political re-education of the Uighurs as an attempt at brainwashing. The Chinese state-run media has described Islam as a pathology or ideological illness, supporting the government’s narrative that the ‘re-education’ centers are intended to ‘cure thinking’. If that doesn’t sound Orwellian enough, outside the detention camps, the government crackdown on Xinjiang has also involved an incredible level of digital and physical surveillance to ensure government control over information and, in turn, its citizens. Surveillance measures have included security checkpoints to scan identification cards, confiscating phones to download private information, tracking the movement of residents using facial recognition technology, and confiscating passports to prevent residents from traveling abroad. Despite the fact that China voted in favor of adopting the UN Declaration on the Rights of Indigenous Peoples (UNDRIP) in 2007, the Chinese government has failed to acknowledge the presence of indigenous peoples within its borders. The cases of Tibet and Xinjiang appear to clearly demonstrate the distinctive culture, language, and history of these ethnic minorities within China, however the recognition of their and other ethnic minorities rights have been dismissed by China in light of their competing economic and political interests. Xinjiang is not only valuable to China in terms of its natural resources, it also holds a strategic geographic position which acts as China’s opening into central Asia and Europe. Xi’s trillion-dollar legacy project, The Belt and Road Initiative (BRI), aims to re-establish the trade routes of the ancient silk-road and, as the gateway into Eurasia, control over Xinjiang is of particular strategic interest for this project. Uighur nationalism represents a threat to Beijing’s control over Xinjiang, and its crackdown on religious freedom is a thinly veiled effort to re-establish government control by weakening the unique identity of Uighurs and mandating political and cultural homogeneity within China. Beijing’s campaign of cultural-cleansing, with approximately one in ten Uighurs currently in ‘re-education’ centres, has been condemned by the international community. The Western member countries of the UN have levelled harsh criticisms on the Chinese government for its human rights violations, notably however, there has been silence on the part of other Muslim countries on this issue concerning the oppression of Islamic religious freedom and identity. Experts have said that their silence may be based on a fear of jeopardizing their economic relationship with China in light of the massive loans that some have received from China for BRI infrastructure development projects. Of these countries, those who are most reliant on their economic ties to China are countries which are otherwise uncommon locals for foreign investment due to conflict, corruption and poor human rights records. China’s investments in countries which are largely ilequipt to repay its loans affords it incredible political influence over these areas. Its status as an economic powerhouse has afforded China a great deal of influence in the international community. Considering China’s future role as a leader in the global community, it is important to question the extent to which other countries have a duty to actively promote justice for people beyond their borders. It will take more than strong condemnations by foreign governments, unaccompanied by further political action, to curb China’s human rights abuses, if China’s economic influence will continue to facilitate a culture of impunity.